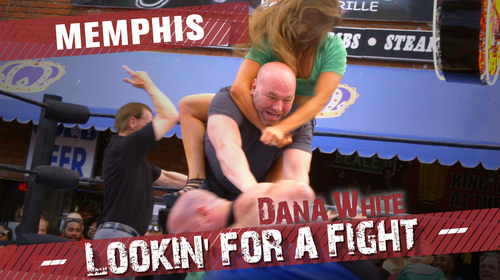 Dana White: Lookin’ for a Fight – Season 3 Ep.2 Jun 8, 2018 (31:00) UFC President Dana White and former champion Matt Serra visit Memphis, Tennessee with Din Thomas. They sing the blues on stage, take to the ring for a professional wrestling match, and eat fried chicken. Then they check out some local fights to scout UFC prospects, including a former teammate of Ronda Rousey. 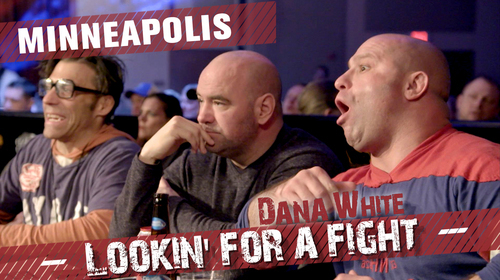 Lookin' for a Fight Dana White: Lookin' for a Fight – Season 1 Ep.4 Apr 3, 2016 (23:30) Dana, Matt and Nick head to Minneapolis to scout a heavyweight prospect at an action packed Legacy FC card. The boys also do some snowboarding, tour a brewery, visit a local BJJ gym and learn a death metal song from the band "Roads of Glass", that they will play live at a local club. 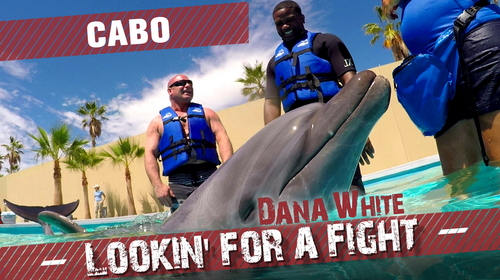 Dana White: Lookin’ for a Fight – Season 3 Ep.1 Jun 8, 2018 (30:00) UFC President Dana White and former champion Matt Serra visit Cabo San Lucas, Mexico with Din Thomas. They check out a street fair, swim with dolphins, and taste tequila. Then they check out some local fights to scout UFC prospects, including a cousin of the Pettis brothers, with UFC welterweight Donald “Cowboy” Cerrone. 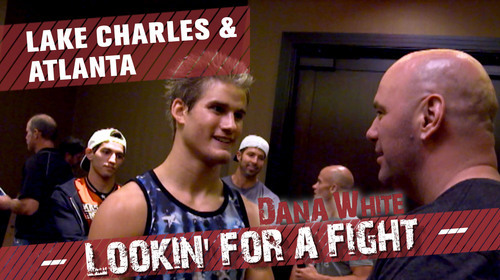 Lookin' for a Fight Dana White: Lookin’ for a Fight – Season 2 Ep.4 Nov 5, 2017 (30:04) UFC President Dana White and former champion Matt Serra visit New York City with UFC light heavyweight and lifelong New Yorker Gian Villante. The guys join the New York Mets in Queens for batting practice, ridealong with the NYPD in Brooklyn, dance with the Rockettes and sample pizza in Little Italy. For Matt's birthday, they head to some fights in New Jersey to scout UFC prospects, including a couple of Serra's proteges. 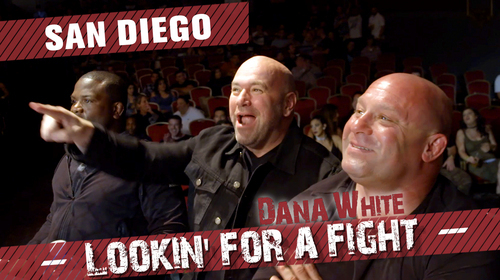 Lookin' for a Fight Dana White: Lookin’ for a Fight – Season 2 Ep.3 Jul 2, 2017 (32:09) UFC President Dana White joins forces with former UFC champion Matt Serra and coach-turned comedian Din Thomas for a trip to San Diego. The guys’ wild itinerary includes visiting an animal sanctuary, braving a haunted house, a trapeze lesson, a day on the water and lunch at an unusual burger joint. But the high point of the trip is talent-scouting at a local MMA show where a promising young flyweight gets his big shot. 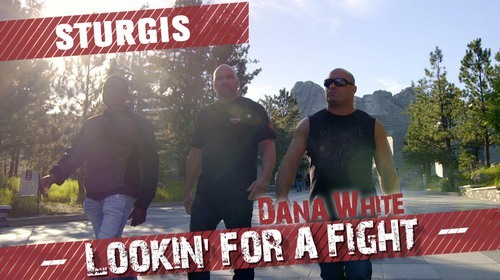 Lookin' For A Fight Dana White: Lookin’ for a Fight – Season 2 Ep.2 Apr 9, 2017 (28:12) UFC President Dana White saddles up with fellow thrillseekers Matt Serra and Din Thomas for The Sturgis Motorcycle Rally in South Dakota, where activities include a road trip to Mount Rushmore, a tattoo coverup and a front row seat for an attraction known as The Wall of Death. Then the three journey to Atlantic City to scout for talent at a local fight promotion. 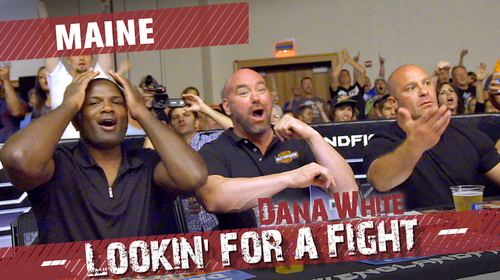 Lookin' for a Fight Dana White: Lookin' for a Fight – Season 2 Ep.1 Dec 31, 2016 (32:06) Matt Serra, Din Thomas and UFC President Dana White pack a summer's worth of fun into a trip to White's vacation home in Maine, with go-karts, demolition derby, drag racing, lobster rolls, a hot dog eating contest and more. After all that, the guys check out a fight card that surprises them with its entertaining bouts and promising athletes. 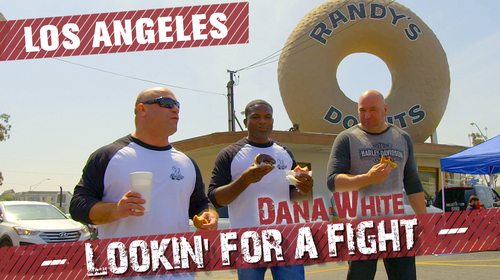 Lookin' for a Fight Dana White: Lookin' for a Fight – Season 1 Ep.7 Jul 11, 2016 (33:12) Din Thomas, Matt Serra and UFC President Dana White hit Los Angeles to try their hands at stand-up comedy. Then they chow down at the iconic Randy’s Donuts, visit the set of the television show “Kingdom” and take in a local fight card that’s packed with potential. Special appearances by David Spade, Nick Swardson, Bryan Callen, Adam Hunter, Travis Barker, Laura Prepon, Nate Diaz, The Game and Frank Grillo. 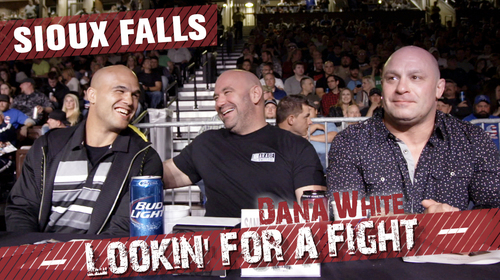 Lookin' for a Fight Dana White: Lookin' for a Fight – Season 1 Ep.6 Jun 27, 2016 (28:06) Dana and the guys head to Sioux Falls, South Dakota for a camping trip. Dana, Matt and Nick are completely out of their elements as they attempt to pitch a tent, build a fire and sleep outside. Afterward they head to a local fight so Dana can check out some prospects in action. 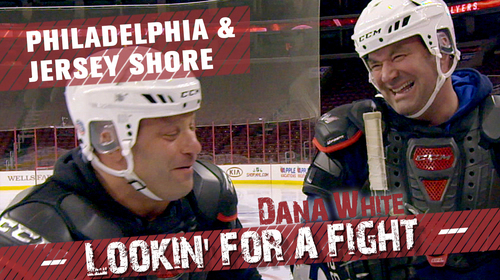 Lookin' for a Fight Dana White: Lookin' for a Fight – Season 1 Ep.1 Jan 4, 2016 (25:54) The boys dine on cheese steaks, canolis and salt water taffy. 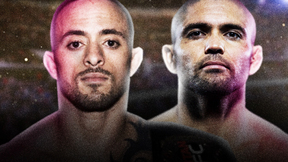 In Atlantic City, Dana is impressed with a local fight card and in Philadelphia, a fighter surprises him with an unexpected challenge. 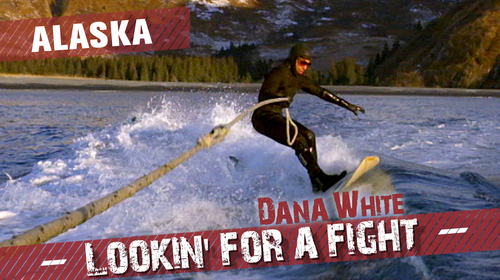 Lookin' for a Fight Dana White: Lookin' for a Fight – Season 1 Ep.2 Feb 1, 2016 (25:50) Dana, Matt and Nick endure sub-freezing temperatures in Alaska to go paddle boarding in Resurrection Bay and try dog sledding with an Iditarod champions. Matt shares some of his BJJ knowledge to local fighters and even rolls with Nick the Tooth. 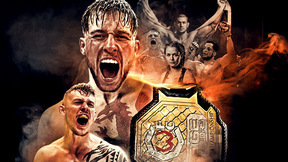 The boys check out a promotion called the AFC, and Dana is impressed with the up and coming MMA scene in Alaska. 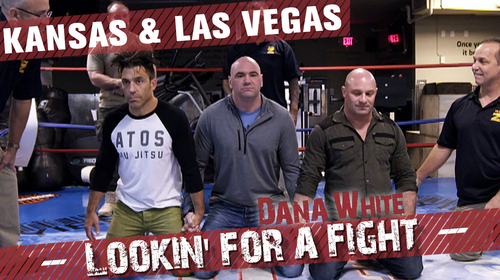 Lookin' for a Fight Dana White: Lookin' for a Fight – Season 1 Ep.3 Mar 7, 2016 (27:50) Dana, Matt and Nick meet up in Las Vegas where they promptly get tased by former members of a SWAT team. Then they head to Kansas to do some farming, herd wild bison and to check out a fight. The guys then head back to Vegas so that Matt can ride shotgun in a trophy truck race and they can all meet illusionist Criss Angel. The trip ends with them all checking out the UFC debut of Mickey Gall. 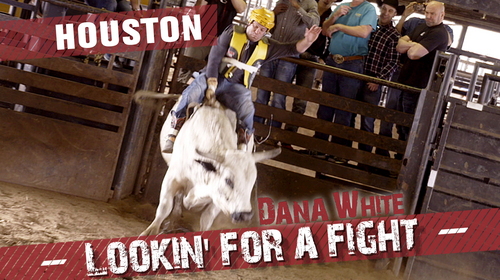 Lookin' for a Fight Dana White: Lookin' for a Fight – Season 1 Ep.5 May 15, 2016 (24:30) Dana, Matt and Nick head to Houston, Texas for a trip like no other. The guys attempt to cowboy up on horseback and then upgrade to bull riding. 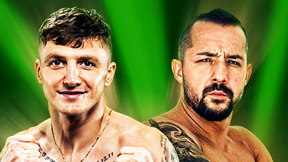 They also meet up with former heavyweight boxing champion George Foreman, make a batch of guacamole and check out a flyweight prospect at some local fights.